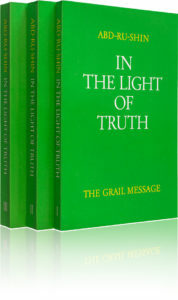 The three volumes of In the Light of Truth contain a total of 168 lectures whose contents build, one part upon another, to form a picture of Creation in entirety. The Author’s all-embracing view is based on well-known natural laws, which reveal the hidden connections of our existence and offer valuable guidance for the journey through life. The Author spent a happy childhood in the small Saxon town of Bischofswerda. 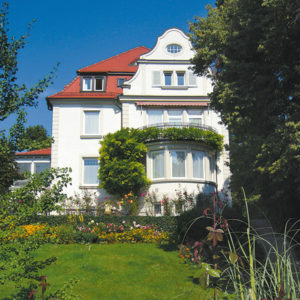 Following completion of school there, he was trained in commerce and served a business apprenticeship in nearby Dresden. 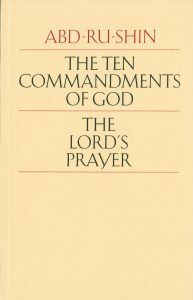 In this book the Author reveals the full and all-embracing meaning of The Ten Commandments of God as a help and reliable guide for our entire existence – for the events of earthly life and even beyond. Abd-ru-shin’s explanation of The Lord’s Prayer helps the earnestly seeking individual correctly grasp this Message of Jesus and key to the Kingdom of God in its deep significance for humankind. Abd-ru-shin’s Work In the Light of Truth – The Grail Message came into being during a period of time spanning a little less than two decades. Initially, individual lectures were published in a series of booklets called the Gralsblättern. In 1926 the first, “small” edition of The Grail Message was released; in 1931 a “large”, one-volume edition was issued. Finally, the three-volume book, the Author’s final edition, was published. This is the book that is distributed today. The Grail Message Foundation is a charitable institution formed to protect and make known the Work of the Author Abd-ru-shin (1875-1941)—most notably his core title, In the Light of Truth – The Grail Message. 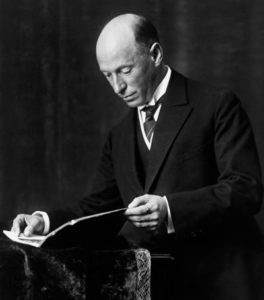 Initiated in 1951 by the widow of the Author, Maria Bernhardt, the Foundation presents a selection of publications, all of which stem from the original philosophy of The Grail Message– and are concerned with the important spiritual goal of acquiring lasting values and insights for a conscious life.